TULA, August 22. /TASS/. Gazprom’s exports of gas to Europe may exceed 170 bln cubic meters by the end of this year, Chairman of Management Committee Alexey Miller said Monday. "Currently we expect a 10% increase and there are no factors triggering a downtrend. 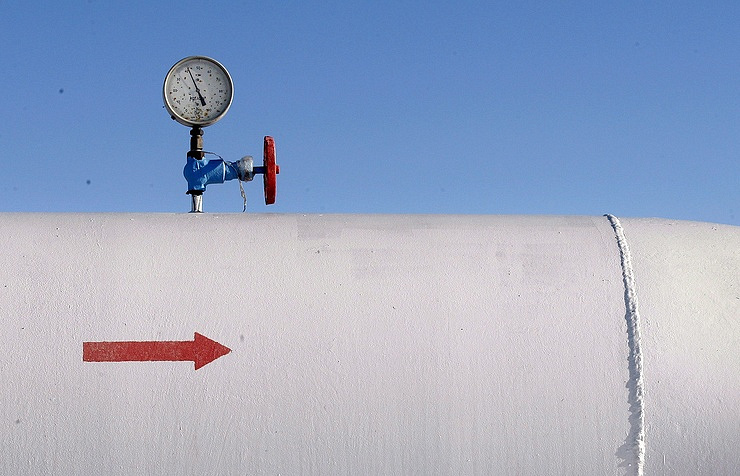 There is a sustainable demand for Russian gas, and it keeps growing. Even in case the demand is not growing but keeps at its level those 10% will be there. As for absolute figures, you take last year’s result and add 10%. Q3 and Q4 are our peak demand quarters," he said, adding that gas exports to Europe may eventually exceed "170 bln cubic meters." Earlier Miller said that from January 1 to August 15, Gazprom increased gas supplies to Europe by 10.4% compared with the same period of last year while in volume terms the increase totaled 9.9 bln cubic meters. He noted that the demand for Russian gas increased in Austria (16.8%), Greece (66.2%), Poland (21.5%). Gazprom export is steadily growing in France - 29.3%, in the UK - by 62.1%, the Netherlands - 95.6%, in Denmark - by 137.3%. In 2016, Gazprom might increase exports of gas to Europe by 6.6% to 170 bln cubic meters - the figure at least will be between 166-170 bln cubic meters, Miller said. In 2015, Gazprom increased its gas exports to non-CIS countries by 8% compared with the previous year - up to 159.4 bln cubic meters.